Gran Turismo creator Kazunori Yamauchi discusses his optimistic plans for the PlayStation 4. The PlayStation 4 and Xbox One are already swimming in racing titles. Forza Motorsport 5 and Need for Speed: Rivals were both a part of the next-gen launch lineup, and DriveClub will hit the market early next year. Despite the competition, though, the folks at Polyphony Digital, the developer behind Gran Turismo, are planning to make their own next-gen splash. And if Gran Turismo creator Kazunori Yamauchi gets his wish, the game will be here very soon. 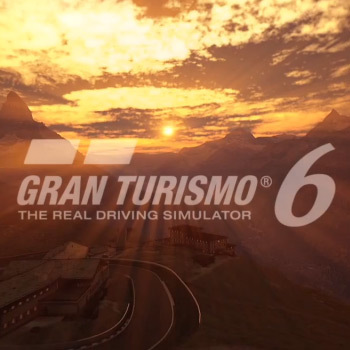 "We don't want to take too long on Gran Turismo 7," Yamauchi said in an interview with Top Gear. "Best-case scenario? Next year." When you consider that Gran Turismo 6 is scheduled to be released on December 6th, a 2014 launch for GT7 seems like an impossibly lofty goal. But Yamauchi obviously doesn't agree. "In GT6 we really had to tune the software 100 per cent to maximize the PS3's architecture," he explained, "but of course the PS4's hardware is much better, so I think the overall quality of the game across the board will be boosted when you come to play it". Plus, Yamauchi isn't concerned about the competition. For him, the racing community is a tightly knit group, and there's enough support to go around. "We always respect our competition," he said. "The racing genre isn't really that big in its entirety, so I'm glad that everyone works hard to boost the genre as a whole."